After days of intense fighting for the Afghan city of Ghazni, south-west of Kabul, the United Nations Secretary-General and the Head of the UN mission in the country (UNAMA) have denounced the toll that the almost 20-year conflict has taken on civilians, and called on warring parties to lay down their arms and seek a political solution to the conflict. UN chief António Guterres stated that "the warring parties must do everything feasible to ensure that no civilians are further killed or injured by the fighting, and must allow and facilitate rapid and unimpeded passage of humanitarian assistance so that it can reach Ghazni". 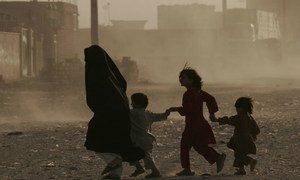 In five days of hostilities, about 150 civilians have been killed in the fighting, along with hundreds of Government and Taliban fighters. Mr. Guterres conveyed his condolences to the families who suffered from these attacks. “The fighting has led to electricity outages along with water and food shortages,” noted Mr. Yamamoto, Head of UNAMA, in a statement on Wednesday, adding that “communication networks and media outlets have been shuttered, and roads remain blocked, preventing freedom of movement for families seeking safety.” According to OCHA, access into the town remains challenging for aid workers. “The targeting of civilians and of civilian facilities are clear violations of international humanitarian law,” he noted, adding that “there can be no military solution to the conflict in Afghanistan and urgently calls for a peaceful settlement of the conflict in the interest of building a more stable and prosperous future for all Afghans”. The UNAMA also chief appealed to all warring parties and the international community to help bring hostilities to an end. “The fighting in Ghazni must stop and the fighting in Afghanistan must stop”, he said, stressing that “the United Nations continues to maintain that there can be no military solution to the conflict in Afghanistan”. 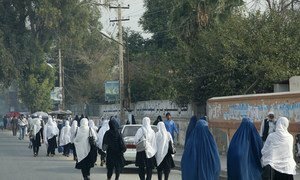 As part of a recent pattern of attacks in Afghanistan, at least 13 civilians were killed and 20 others wounded on Tuesday in Jalalabad, drawing “outrage” and condemnation “in the strongest terms” from the United Nations Assistance Mission in the country, UNAMA.